Hey there. Last night, there was a dog fight in Los Angeles. The Los Angeles Clippers and the Los Angeles Lakers, in the confines of The Staples Center, went all out to prove which team is the better team of Los Angeles. There is definitely bad blood between them. The Clippers, tired of being regarded as the little brother of the Lakers, went out and improved their team by acquiring star guard Chris Paul. The same Chris Paul that the Lakers tried to acquire before the deal was struck down by the commissioner, David Stern. The Clippers believing that they now have the superior team to take over Los Angeles, forgot that the Lakers have always been a formidable team. Especially when the Kobe "The Black Mamba" Bryant refuses to lose. For those of you that missed it, last night's game was simply awesome. 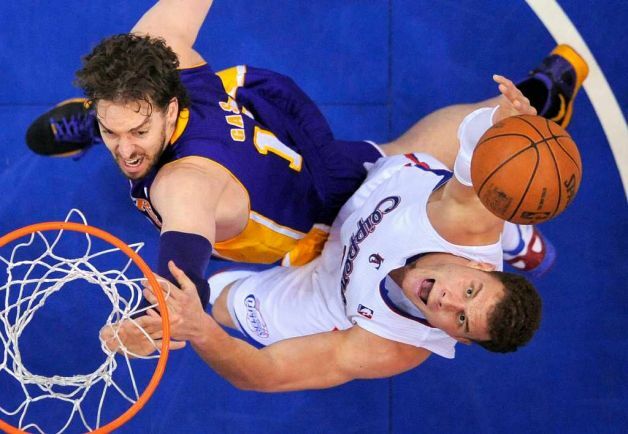 The matchup between Pau Gasol and Blake Griffin was one to behold. Pau has always been deemed as soft and a finesse player. Blake Griffin is a strong, up and coming star, with spectacular jumping and dunking abilities. He got the best of Pau on several occasions, posterizing Pau on 2 killer dunks, but in the end, Pau's tough defense grounded Blake's high flying act. You know... a lot of people are talking about those dunks. How Blake got the best of Pau on two outstanding dunks but I praise Pau for getting in there and attempting to swat it away. I'm tired of defenders just stepping aside and allowing the dunk. Pau at least stepped in there and did what he could to stop them and that defensive mindset is gave Pau the edge late in the game. Kudos to you, Pau! As for defense, the Clippers simply have none. The played HORRIBLE defense. You know that Kobe Bryant is the man in the 4th qtr so tell me again why you would not send any help when he's in isolation? 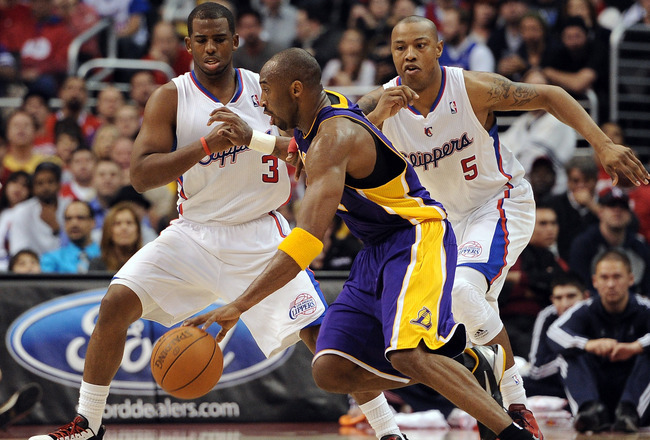 Kobe burned the Clippers several times when the help never arrived. And speaking of help, who was playing center for the Clippers? Andrew Bynum had his way all night in the paint. Little jump hooks, strong dunks, and even a little left handed floater went in. But Chris Paul made it interesting. With the Lakers up by 15 or so, he went to work and kept the game close in the final minutes. That's when Kobe turned into the Black Mamba and willed his team to victory! It was an excited game and fans where definitely treated to a great rivalry game between the Los Angeles teams. I'm a Lakers fan. Will always be a Lakers fan and it's been tough to see the Lakers lose games when they've had leads of 10 or more. This looked to be one of those games. With 2 minutes to go in the game, my cousin gives me a call to talk about the game. "Can you believe this game?! It's been tough and physical and man, this is a great game!" I laughed since I was not expecting to hear from him. But that's how great a game it was. The excitement was there. There was a playoff atmosphere and The Staples Center was littered with purple, gold, and white colors. Being in Los Angeles, I am fortunate that we have 2 NBA teams. I love basketball and when the season is in full swing, there is basketball on almost every day. 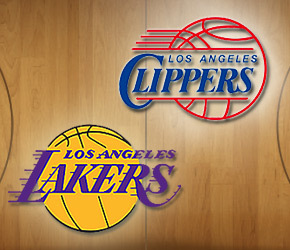 The Lakers are known for being a successful franchise while the Clippers are known as the perennial loser. The Clippers are trying to change that. They are trying to challenge the Lakers for a bigger piece of the pie. But in the end, the Lakers put the Clippers back in their place... 2nd in the division... 2 1/2 games behind their big brother. Later!